nd harder to stay within budget. Even if you don't have any certain diet restrictions when you're shopping, I imagine it can be hard to not spend too much money. It guides moms through setting up a sustainable grocery savings system that works for their unique families' nutrition needs, including real food, gluten free, etc. Requires no coupons, store circulars, or weekly meal planning, so it continues working even during the busiest seasons of life. This is the system I have personally used to save thousands on my grocery budget even during the most difficult year of my life, so I know it works! Those points are just amazing to me! No coupons, store circulars, or meal planning needed? And it works for real food? I am definitely interested. The way I currently shop requires those four things (though there aren't many coupons for real food). I am excited to learn how to save money even without those things. Here is the best news. From now until August 26, 2014, this course is on sale. It normally costs $37, but the sale price is...Pay What You Can. Yes, you read that right. So I am definitely signing up and wanted to share with you, as I thought it might help you. 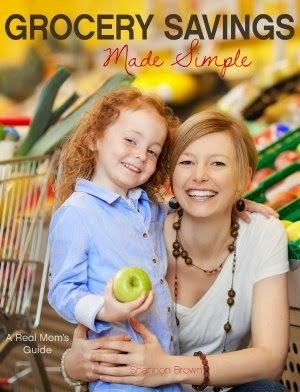 You can go here to read more about Grocery Savings Made Simple and/or register. While the sale price lasts until 8/26, registration for this year's course will not close until 8/31. I hope this course is a blessing to you. One big way Jack and I are saving, is by limiting meat to chicken and a bit of hamburger and eating lots of fruits and veggies. We also only by canned evaporated milk for the little bit of baking we do and that helps also. We usually eat more chicken too and have to limit the beef due to cost, but we don't do evaporated milk. I'll be interested to see what information this course gives to those who signed up! I sure need to save more money on groceries.